Muscular strength is the ability of a muscle or muscle group to exert force to overcome the most resistance in one effort. 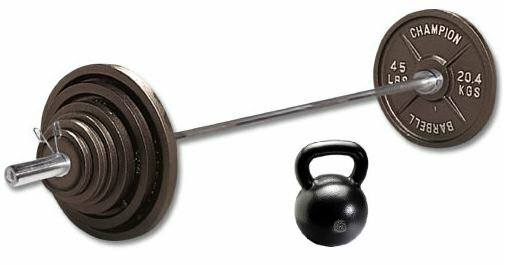 Strength can be measured based on the amount of weight lifted. Upper-body and lower-body strength are measured separately. It is simply defined as the maximal weight an individual can lift for only one repetition with correct technique. 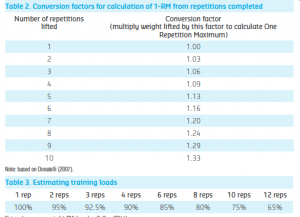 To determine the maximum weight that can be li!ed for one complete repetition of the movement (Heyward, 2010). • Weights dependent on muscle group testing. 1.The subject should warm up, completing a number of submaximal repetitions. 2.Determine the 1-RM (or any multiple RM) within four trials with rest periods of 3 to 5 minutes between trials. 3.Select an initial weight that is within the subject’s perceived capacity (~50%–70% of capacity). 4.Resistance is progressively increased by 2.5 kg to 20 kg until the subject cannot complete the selected repetition(s). All repetitions should be performed at the same speed of movement and range of motion to instil consistency between trials. (American College of Sports Medicine [ACSM], 2006). To evaluate muscular strength (American College of Sports Medicine [ACSM], 2006). 1.The client should warm up, completing a number of submaximal repetitions. 2.Determine the 1-RM (or any multiple RM) within four trials, with rest periods of 3 to 5 minutes between trials. 3.Select an initial weight that is within the client’s perceived capacity (~50%–70% of capacity).